Today more than 180 countries have backed stronger action to be taken against illegal cheetah trading at the Convention on International Trade in Endangered Species (CITES) in Johannesburg. The global flora and fauna summit gets countries together to address risks to wildlife from the wildlife trade. The move aims to put a stop to the industry that is seeing cheetahs being stolen from the wild for their skin and to turn them in to domestic pets. Dr. Sarah Durant, leading ZSL's cheetah conservation team, blogs from Johannesburg. Today the world agreed to combat illegal trade in cheetah at the CITES 17th Conference of the Parties in Johannesburg. In a landmark set of decisions and recommendations, countries approved a variety of actions including strengthening enforcement concerning the illegal trade in cheetahs; improving regional cooperation in law enforcement; and addressing the use of social media platforms for selling cheetah. This is a great step forward in halting illegal trade in cheetah, but the path to get here has been long. For me, a key moment in this journey occurred in 2011 when, sitting in my office at ZSL in London, I received a chilling email from my team in Tanzania. Three cheetahs had been confiscated by the wildlife authorities in Arusha. Even more worrying were the photographs that soon arrived soon after, as these cheetahs were crated up into tiny cages, barely able to stand up, ready for shipment. There next followed a traumatic week while we worked with the Tanzanian wildlife authorities to return these cheetahs to the wild. At this time, illegal trade in cheetah was an issue of increasing concern within ZSL’s Range Wide Conservation Program (RWCP) for cheetahs and African wild dogs. I had heard of many reports of confiscations of live cheetah, particularly from the Horn of Africa, destined for the pet trade in the Gulf States. The issue was also raised by many cheetah range states during regional and national workshops to develop conservation strategies and action plans for cheetahs and African wild dogs. These three cheetahs, confiscated in Tanzania, provided clear evidence that the tentacles of the trade network had stretched way beyond the Horn of Africa. The issue required concerted action. So began the long route to where we are today in Johannesburg. Working together with those range states that had expressed a serious concern about the trade in cheetah, we commissioned a report to summarise the evidence. This preliminary information was used by Ethiopia, Kenya and Uganda as the basis to request a more formal report from CITES at the 16th Conference of the Parties in Bangkok in 2013. CITES is the global Convention for International Trade in Endangered Species, and has 183 nations as signatories. CITES is the most important international convention concerning illegal trade in wildlife, as decisions are binding on signatory states. The CITES report on illegal trade in cheetah uncovered an ongoing skin trade, as well as confirming a live trade in cubs, primarily to Gulf States, with the potential to significantly impact populations of wild cheetah. Many cheetah die in transit and, of those that survive and are sold into the pet trade, few survive for long. The report led to the establishment of a working group that developed the set of recommendations to combat illegal trade in cheetah that were formally adopted by CITES parties today. Not all countries waited to get to this point before taking their own steps to combat the illegal trade. UAE, for example, has developed legislation that will shortly come into force to prevent people keeping cheetah as pets. Yet, despite steps taken by countries such as UAE, cheetah cubs continue to disappear from the Horn of Africa with the main export routes going to Yemen, while cheetah skins continue to be recovered from many range, transit, and demand states. We hope the CITES decisions adopted today will result in a step change in clamping down on the illegal cheetah trade. This is urgently needed to halt declines in highly vulnerable wild populations in the Horn of Africa, and to reduce the risk of regional extinction of this threatened species. Learn more about cheetah conservation. Sarah Durant is a Senior Research Fellow at ZSL and the leader of the Range Wide Conservation Programme (RWCP) for Cheetah and African Wild Dog. Nick Mitchell is the eastern Africa coordinator of the RWCP, and leads on the trade aspects of this programme. Helen O’Neill, was the project manager for the Serengeti Cheetah Project at the time of the Tanzanian cheetah confiscations, and is now a PhD student at ZSL and UCL. The achievements at CITES would not have been possible without the support of the Wildlife Conservation Society, IUCN and the wildlife authorities of cheetah range states. 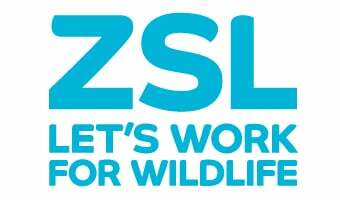 The RWCP is supported by the Howard G Buffett Foundation and is a joint ZSL and WCS initiative.